Mad Head Games proudly presents an enchanting new adventure from Taleworld! Nevertales: Legends is rated 4.5 out of 5 by 23. Rated 5 out of 5 by ethan1404 from My favourite game so far! I wrote a review on this when it was released as a CE so this will be "short and sweet"! I absolutely recommend this game, it is classy, DEVS have put so much time and thought into the game so it has risen above the norm! It runs smoothly, makes sense, when you talk to someone, it is amazing ... how they chose to do this is an absolute delight and a feather in their cap! Amazing ... loved it! Loved the storyline, loved the game, loved how they produced it and I have to be honest, and as I have said, the best and most beautiful, visually graphical game released to date! Hopefully, it will be a contender for game of the year for it deserves to be! This game is an absolute must for your purchase list and you will not be disappointed. I bought it as a CE and was "blown" away by the quality and the extra time and thought put into making it a special, unique and truly extraordinary and beautiful game ..and what you would expect from a CE game and a good DEV! It was truly something unique and different and I was so sorry when it ended! Whatever you do, buy this one and if you are not into purchasing CE games as a norm, perhaps in this instance, do so as it is well worth it! But at the very least, buy it as an SE game for I know you will love it! One of the few games I have purchased that I would give a 10 out of 10 rating! Well done to both the DEVS and BFG! Rated 5 out of 5 by pennmom36 from Never Say Never Nevertales has returned with a brand new tale, this tale is all about strength, wisdom, deceit, and treachery but above all, it's about love that knows no boundary! The creator and Lord of taleworld held immense power which he used to protect the people of all the lands. Eventually, the lord divided his power and forged it into 5 Relics, the Healing Scepter, the Bracelet of Growth, the Necklace of Cunning, the Ring of Fire and the Crown of Courage. He bestowed the Relics upon five virtuous individuals to rule the five realms of his Kingdom with wisdom and in peace. This tale is proof that kingdoms can overcome their differences, and love knows no boundaries, even when wisdom and peace are at stake. Equipped with only the Ring of Fire and your brother-in-law, Hark, who has the unique ability to shapeshift into a raven, you venture where no Queen has ventured before. Your mission cannot fail, without the Healing Scepter, your husband will die! The Ring of Fire has many abilities, it protects you from heat and flames, allows you to create and bend flames, and it's somehow capable of communication between you and Ashbringer. Hark proves to be invaluable asset retrieving those inventory items that somehow end up in the oddest places that are impossible for any Queen to reach. Many of the inventory items are complex items that require some type of interaction before they can be used, and the Collector's Edition has the addition of Achievements to earn that are categorized as you progress, with 9 Bronze Casual Achievements, 9 Silver Advanced Achievements and 9 Gold Expert Achievements, you even get an Achievement for finishing the Demo, so you will have to download and play the Demo before you purchase the game if you want to earn all of them! The Collector's Edition also has 40 Hidden Collectible Roses which will unlock more challenging puzzles and a secret level once they have all been found. 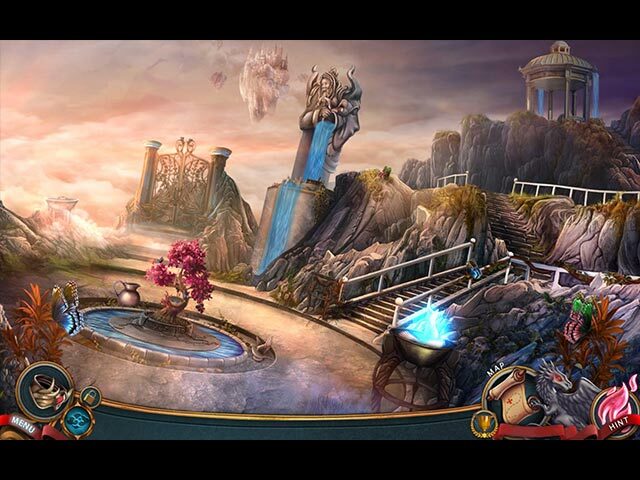 The Hidden Object Puzzles range from slightly interactive list finds (where you click on some items to move them aside) to silhouetted shape finds typical in most Hidden Object Adventure games, some have small puzzles to figure out or reward you with fragments that create an emblem or means to expose the final item. One familiar type of Hidden Object Puzzle is typical to the Nevertales series, where you are tasked with finding the symbols shown in a circle, within the illustrations of a book. When all the symbols are found, the story progresses a paragraph at a time, usually giving you more insight to the stories origins. The Collector's Edition has a Morphing Object to find in each HOP, personally, I love Morphing Objects in the game itself, not in the narrowed down HOS, especially when you know there's a Morph you need to look for. The Mini Games are creative, but kind of easy in my opinion. The first MG requires you to "ring" bells in a specific order by trial and error, and there's a game where you open up two crates at a time as you try to find the matching (but not necessarily identical) items. Two of the puzzles I liked the best was plotting a course to sail the Falcon on a map, avoiding obstacles,within seven moves total. The second game I enjoyed was dragging wooden jointed tiles to the correct color coded slots on 4 increasingly difficult boards, as more colors are added and the board becomes more crowded. The Collector's Edition has 9 Gold Expert Achievements, 9 Silver Advanced Achievements, 9 Bronze Casual Achievements, 11 Morphing Objects, 40 Hidden Collectible Roses, replayable Color Connect Puzzles (as mentioned above) 12 replayable HOP's, 18 Wallpapers, 32 Concept Art Pictures, 9 Music Soundtracks, a Legends Jigsaw Puzzle, a built in Strategy Guide and a Bonus Chapter, enjoy! Rated 5 out of 5 by LeadingEdge from Clear your calendar! Yep, Nevertales: Legends is that engaging. I knew within the first few minutes this was a buy for me. Even so, I *made* myself play through the SE demo. Here's my experience. The art work is excellent. I really liked the use of panels to move the dialogue and action along in the cut scenes. The story line believable and surprising. The music accompanying the game is film quality. The game play mechanisms are smooth. The mini-games challenge level is stimulating requiring effort, but doable. The HO's are a variety of lists and fragment types. The list HO's are dense, not chaotic. The game moves along at a good clip. I really wanted to just keep playing and playing and playing . . . . Well, you get the idea. I so impressed by the SE that I bought the Collector's Edition. All in all, Nevertales: Legends has my vote for 2015 Game of the Year. Rated 5 out of 5 by skullfun from Nevertales Legends 4: Love over comes war, betrayal, and death! 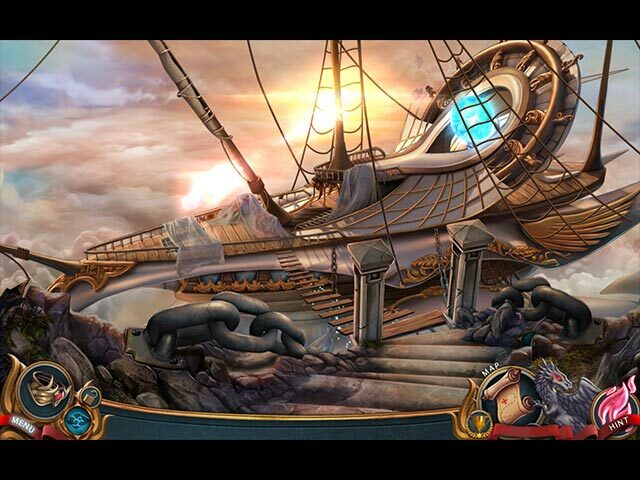 It rarely happens for me to care so much about characters and especially their love stories when playing a hidden object game, but somehow Nevertales: Legends managed to hit the right chord in my soul and I absolutely loved it! The game tells the story of true, real love, love that gets bigger than tradition, war, love that changes the world. And eventually, love that forces you to get out of your comfort zone, put away your delicate Queenie shoes and hop onto the ride of your lifetime: the adventure to save your beloved husband and the entire kingdom. Nevertales: Legends throws you straight into a spider’s web of love and hope, of wisdom and strength, of trust and treachery, of overcoming your fears. It rarely happens for a game to develop the story as much as this one does and even fewer manage to make you care, really care about the outcome of your adventure, about its characters and the fantasy world you’re exploring. But fortunately it doesn’t focus on creating the story and background and ignores gameplay. On the contrary – the hidden object scenes you’ll encounter are charming and well done, there are Morphing Objects for you, as well as different approaches – from interactive list finds to using flowers to draw in butterflies hidden throughout the scenes. The minigames are well made as well, varying in difficulty and getting slightly more difficult to complete as you progress through the game – and depending on your skills, some will really test your ability to stay calm and power not to click that skip button! And talking about a “Skip” button – there are different difficulty levels you can choose from (Seeker, Adventurer, Trailblazer and Custom) as well as a ton of goodies to make a Collector’s Edition a worthwhile purchase: Achievements, which also come with a nice approach being divided based on the difficulty to get them (don’t forget, if you are an Achievement Hunter, you MUST play and complete the Demo first before purchasing the game), collectibles that unlock a new chapter, replayable hidden object scenes and mini games, strategy guide, wallpapers and so on. Good value for the extra money you’d spend – not to mention the Morphing objects! The bottom left of the game has a collectible icon showing you have found all in the medallions in a scene. You’ll get a Map from the beginning, as well as Hank the companion: your husband’s brother, who has the ability to morph into a Crow and get into the most difficult to get to places. You also have the Ring of Fire that protects you from fire-related dangers and gives you some new strengths that will prove extremely useful throughout your adventure – one that carries you to different amazing places. The graphics are crystal clear – without having to do anything with the curse in the game’s story – and the artwork is extremely charming. The animations are great too and there will be some really nice surprises waiting for you along the way. The sound and soundtrack manage to add value to the whole product, the result being an exceptional love story adventure, one that you will love. At least I did and I wholeheartedly recommend it! *6 Chapters *Bonus Chapter which makes the story complete *Achievements *Color/Connect Puzzle *Gallery - Music, Wallpapers, Concept Art, and replay of HOS and 'Legends Puzzle' *Virtues - Necklace, Ring, Bracelet of growth, Healing Scepter, and the Courage Crown. Rated 5 out of 5 by kateblue222 from One of the best of the year, so at least buy the CE if you don't buy the SE I'm in the second chapter of CE, and it is still just as good after the demo period. Really, it's one of the best of the year IMHO because: 1) It's beautiful. 2) The story makes sense!! 3) Sound and music are good and add to the ambience 4) The devs are mostly showing you what to do through the game play itself, not writing it out or having the characters talk too much. This adds to the seamless, immersive experience. 5) Puzzles are great fun 6) Collectables include a menu which tells you whether you found a collectible in a given area or not. It's much more fun than not knowing if you got them all. 7) The gameplay is so seamless you get immersed in the world, so much so that I ran the CE demo out, then immediately bought it. I did have a couple of minor problems because the perspective in a couple of scenes made me click in the wrong place and/or be confused about how to proceed, but I never had to go to the strategy guide. I just went to the guide for the very first time while writing this review. I wanted to see how far along I am in the game so you readers would know. I thought I was about halfway, but it turns out I'm only about the 1/3 of the way through! So the game is definitely long enough to be worth it. I always advise whether to buy the CE or the SE when both are out because if I have bought neither, that is what I want to know. So I say, the better deal here with such a great game is to buy the CE, but if you don't want to drop the money, definitely buy the SE. Try it, I bet you will want to buy it immediately, just like I did. Rated 5 out of 5 by biscuitsmama from BEWARE OF SIBLING RIVALRY The kingdoms of Gellum and Igni had been at war for many years when the King of Igni brings his sons Ashbringer and Hark to the final battle. Just as victory is at hand, in one fateful moment Ashbringer beholds the beautiful princess of Gellum and in the blink of an eye the war was over and peace came to the land. Now it seems that Ash has a real “gem” of a problem and his lady must now save him. Well, even as his fate “crystalizes” his wife rushes off to save her beloved husband. We play the game as the queen and with the help of BIL Hark we encounter many obstacles as we strive to retrieve the Scepter of Healing. There are four modes of gameplay: Seeker, Adventurer, Trailblazer, and Custom. In the custom mode you can set your hint and skip recharge times to your preference in a range of 15 to 90 seconds. The graphics are excellent with varying color palettes to set the scene. Voiceovers are excellent but some of the dialog is a bit schmaltzy and maybe Ash is overly fond of his “darling”. The music is very identifiable with the dev’s signature theme running throughout the background. You have an interactive, transporter type map that is found at the beginning of the game and depending on your mode of gameplay or preferences the map will indicate where you have tasks to accomplish. There is a special tool that you receive from Ash at the beginning of the game, the Ring of Fire that will protect you from flames and bend them to your will. The ring will live on the left side of your user interface area. If you pay attention to the ring, you will know when to use it. The HOPs are terrific and include a variety of styles. If you have played any of the other Nevertales games then you are familiar with some of them but I am happy to say that they all don’t revolve around the pages in a book. One of the things that I liked is that I often wasn’t aware that I was even in a HO scene until the light bulb turned on and then I had one of my duh moments. I also enjoyed some of the different types of puzzles in the game and even enjoyed the map navigation puzzle early in the game. It is only my opinion but this team brings us some of the most thought provoking games and includes puzzles that are generally a bit more difficult than the norm. I like the fact that they think out of the box and in the process create wonderful and challenging games. I don’t mean to imply that the game is overly difficult because it isn’t but it has a higher level of challenge and that makes for a wonderful gameplay experience. 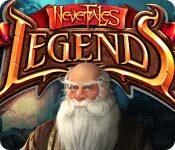 Although I really liked the first game in the Nevertales series, they soon became boring and very redundant so I was very happy to see Nevertales Legends which is a departure from the other games. I am sure there is a tie in to the overall theme but Legends is different and I absolutely love it. 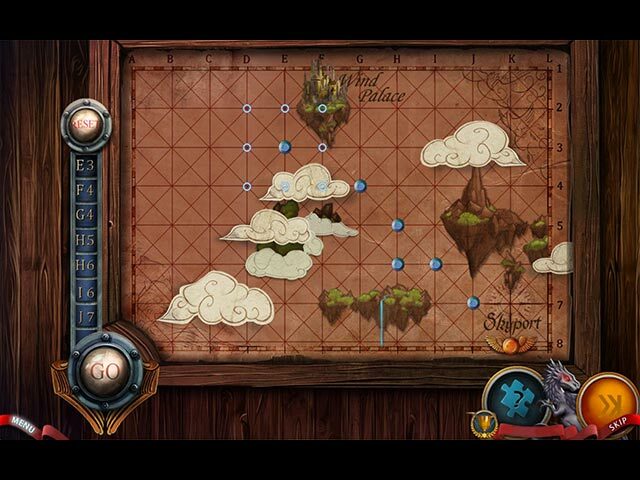 The game is creative, with great HOPS and mini-games that all come together in a beautiful fantasy game package. Kudos to the developer for not being afraid to step away from the original series and bring us something new! I have to say that ASH is a nice piece of eye candy for some of us ladies out there in gameland. Overall, a job very well done and a must have game for me. I know that we all have different tastes to even though this game is perfect for me, as always, please play the demo to see if this is a game you will enjoy. Rated 4 out of 5 by ninja226 from A Tale of Two Brothers A tale of two kingdoms. Betrayal. Enduring love. The storyline is above average for the usual HOS adventure game, with a very surprising twist at the end, and a set up for a sequel. I loved the graphics for this game. The characters are well drawn, with colorful but beautiful regal clothing. Voiceovers are very good and match the characters drawn. I played with minimal hints, and struggled a bit with the tasks to accomplish. You think you are done with finding objects in a particular area, and nope, using the hint button, it says go back to area you thought you had scoured thoroughly. Some of the mini games were also challenging, but the overall story is what makes this game a stand-out. I have to say, these HO games are great for feminists--most of the protagonists are females rescuing males and not the other way around, as found in most movies, novels, etc. out there. Love it! Rated 4 out of 5 by Yanie1020 from Was Over With All Too Soon! Excellent game, but I can't give it 5 stars because it was all over with much too soon. Even without using the map and with no hints it was still too short. Everything else was excellent. I just like to get my money's worth in length. Still highly recommend. Rated 3 out of 5 by emeraldorchid from Ending ruined a decent story Though others wrote this game was too short , I did not find this to be so. It was a nice length. I thought the graphics were decent , and the mini games, though on the easy side, were varied and new. The story was actually very good, not the best I ever played, but a nice content....until the end. I will not give details so as not to disappoint, but I like to complete an ending, not have a cliffhanger that the devs think will force me to buy the next game. It is just a game, I do not Need to buy another game in order to resolve the Same problem left off in the last game and reject doing so. I Will buy games that close out one story line and then pick up a new conflict within the theme in the next. (As in the Blackwell stories). So though I would recommend the game on general purposes if you do not mind cliffhangers, I feel the game is just a money grab and therefore will not recommend it. Rated 2 out of 5 by campingramps from Nevertales needs to get their act together This is a real loser of a game. Graphics are not good, story line is sporadic, characters are not up to par and there is too much back and forth. I wouldn't buy this one and I don't recommend it. Rated 1 out of 5 by Sokalfan from Awful Don't buy! It's staccato, terrible told, not much of a story at all.